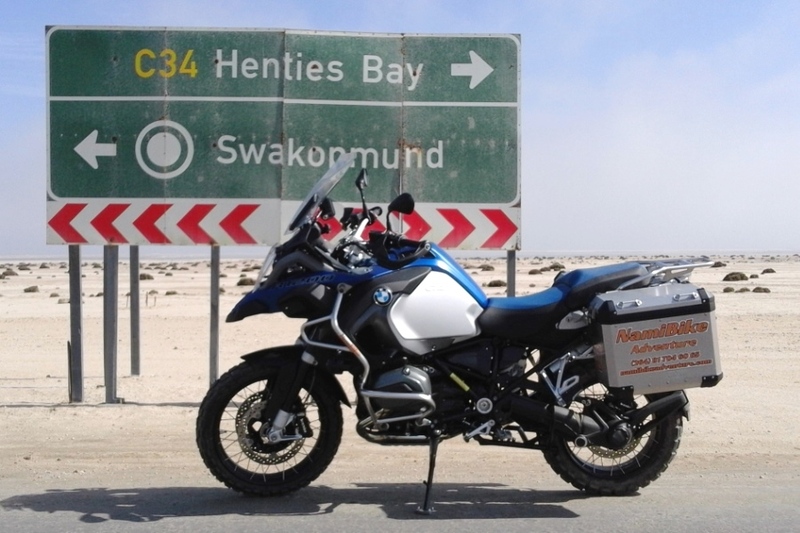 NamiBike Adventure - Motorcycle Rental and Tours in Namibia (BMW & HONDA). A team of passionate people, bikers for many years, and experienced tour consultants. We want to share our experience and passions with you, passion for Freedom, passion for Motorcycling, passion for Africa, passion for Namibia and it's People. Its time to ride! Book Now!! Get 10% Discount for all bookings longer than 21 days. NamiBike Adventure provides 24/7 support and back-up service. As experienced adventure riders you probably have you very own ideas about it and this is certainly another subject for long talks around the fire at night. Helmet > Light and with best possible ventilation. Season related riding gear > Enduro / MX boots, gloves, MX pants and adventure jackets with pockets. Temperature variation is very important in Namibia, the same day, you may encounter sub zero temperature in the morning and 25 degrees at lunchtime. Camelback > Choose one you have tested before, of good quality and long lasting. Your camelback is your best friend while on tour in Namibia. Dehydration is your worst enemy in the bush. Rain Equipment > From October to April Included. Its not a must, but its good to have it and not to use it… Protective Equipment > A motocross neck-brace would be my first choice, then you can add body armors of all types, shapes and colors… GPS > You can bring your own or rent one of ours. The GS1200 are equipped to receive the BMW Motorrad Navigator. The GS800 are equipped to receive the Garmin Zumo 590LM. When should I travel to Namibia ? You may travel in Namibia the all year, but due to the extreme weather conditions you should know the following: - If coming from the northern hemisphere, seasons are inverted… While you experience the cold European winter for example, we have the hottest and longest days of the year. - The “rainy” season : We expect rain showers We can have rain showers from October to April included. It’s usually short, like couple of hours maximum and can be violent. If that day we receive more precipitations, the riverbeds may fill with water. Do not cross rivers, water damages are not insured. The temperature: This should be your main concern… October to April > Hot to very hot mid-day with cooler nights. Average midday temperatures : 30c to 40c – Maximum 45c Average night temperatures : 15c to 30c Rains chances: 40% Hotest months: November / December May to September > Cold to mild mid-day with very cold nights. Average midday temperatures : 20c to 25c – Maximum 30c Average night temperatures : -5c to 15c Rains chances: 5% - ALMOST 0% Coldest months: June / July It is always hotter in the desert areas and in the northern part of the country It is always colder in the desert areas and on the coast. Can I visit the all of Namibia ? YES with some limited restrictions. Yes: As long as you stay on the existing roads (tarmac and gravel/sand roads). Some national parks can be crossed on specific roads, as the Namib Naukluft for example, even on motorcycles. However, you won’t enter Etosha National Park / Skeleton Coast Park or Sossusvlei with a motorcycle. The solution is to overnight just outside the parks and take a day excursion to visit those areas. Please contact our tour consultant to precisely check where you can ride. The restrictions are purely in place for your safety (Etosha...) or for Nature Conservation purpose. They do not impact your holidays negatively when dealt with adequately and in advance. A little planning is required to make the best of your tour. Remember you must ride on existing and registered roads and tracks (whether tarmac, gravel or sand, they are registered and numbered. There are no specific vaccins required. However, it’s a good opportunity to check that your current vaccinations are up to date. Touring Namibia on a motorcycle imposes some precautionary mesures as you will need to have 100% of your riding capacities every day for the duration of your trip. - Sunscreen - Insect repellent - Sterile Eye drops to clear sand dust out of eyes after long rides. - Malaria profilaxis if travelling in the northern part of the country. - Baby wet wipes. - Anti diaeera. - Sterile gauze and tape, band aid - Betadine liquid antiseptic - Strong pain killers - Medical and evacuation Insurance… A must in order to rent form us. Please specify insurance company, contacts and policy number. All our clients are covered for the duration of the rental (30 days maximum) by HelixTract Namibia (Medical Evacuation Service in case of accident with life threatening situation). Please visit HelixTract Namibia website for more information. Hoo Yessss ... Namibia is a family friendly destination. As a matter of fact, it would be very nice to have you here with your family and friends. Not everyone needs to ride… Your family members or non-riding friends can join you on the same tour with a rented 4x4. We can very well combine 3 to 5 motorcycles and 1 or 2 4x4 on the same tour. It is actually the best combination as you can store all your luggage and equipment in the 4x4 and enjoy a much lighter bike. Sure, if you are used to travel solo, no problem. However it’s often enjoyable to share with friends and fellow bikers. Our suggestion is that you travel as a group of 2 to 5 bikes. Can I visit the Etosha National Park ? Yes, although you wont enter Etosha on a motorcycle for obvious reasons (predators). It is possible to book accommodations outside the park and go visit the park with a guided game drive. If you travel with family members in a 4x4, you may just leave the bike for the day and visit the park with your rented vehicle, like any 4x4 self drive tour would do. Our bikes are registered in Namibia and are not allowed (at this stage) to leave the country. They are insured strictly to stay within the borders of our beautiful country. Therefore, pick-up or drop off in a neighboring country is unfortunately not possible. What are the roads conditions in Namibia? Namibia has an excellent network of Tarred and Gravel Road. Tarred Road Tours > Accessible to all bikers, easy, comfortable... You can plan a tour in Namibia without experiencing any long distances on gravel roads. However, you will have to try some gravel for limited access roads to the lodges (100m to 10km). Our tours using mostly Tarred roads will be rated Level 1. Level 1 Tours can be planned with BMW GS and Harley Davidson motorbikes. Gravel & Sand Roads > For more experienced Bikers with off road bikes like our BMW GS 1200 and 800. Mostly gravel, with sand patches at times, generally in good condition. Our tours using tarred and Gravel/Sand roads are rates Level 2 and 3, with increasing difficulties. 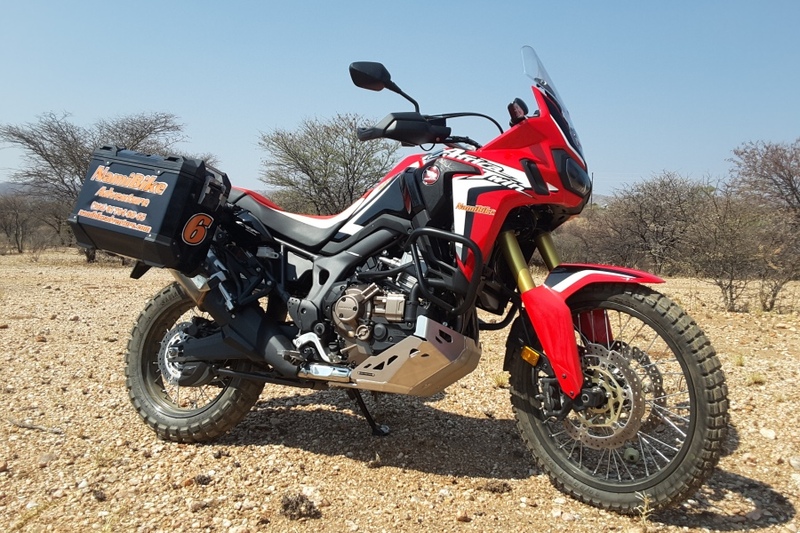 For "Rough Enduro" Tours (all gravel/sand with smaller more difficult " rough enduro" roads would require smaller motorcycles (450cc to 600cc) we do not offer them at this stage. Our bikes are allowed on any registered tarred and gravel road in Namibia. However, town in and repairs will be for the renters account in the following cases : a) Some specific roads with following numbers : D707 - C32. b) Any road marked as a doted line on TASA road map (generaly smaller roads very sandy or rocky), usually leading to very remote places. Dune driving or complete off road (off the registered roads) is not allowed with our bikes, and for the most part not allowed in Namibia. Impact of the Rainy Season ? You will experience extreme temperatures, up to 45 degres, sometimes more... Be prepared and equipped for permanent re-hydration. Nocturnal temperatues can go below Zero... Mid-day temperature will be mostly in the twenties... Very enjoyable indeed. Our online booking system is online 24/7. You can book your bike at any point in time. If the bike is available, your booking will be confirmed by the reservation system, however, it will only be secured once we have received a deposit. We will send you all relevant information within 24h00. In this case, book you bike first, then talk to one of our consultants to organize your tour. We strongly recommend to book your lodges in advance. Distances between sites are important and lodges are often fully booked. Namibia is not a destination where you can just ride and stop when you feel like it... Your tour requires more planning to be safe and enjoyable. It is important to plan such tours long in advance. Availability is limited and long term planning is a must. NamiBike Adventure cc states that to the best of his knowledge and belief the rented vehicles are in sound and safe condition and free of any known defects or faults which would affect its safe operation under normal use. 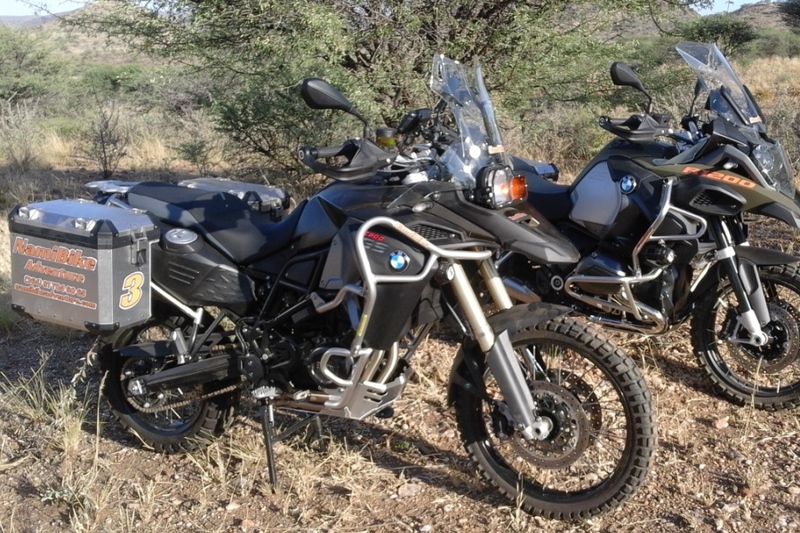 Our bikes are services by Danric Motors, official BMW dealer in Windhoek. However, we cannot rule out the possibility of a mechanical failure. In such an event, we provide 24h00 recovery services. NamiBike Adventure cc accepts no responsibility for delays in consequence of breakdown or any other circumstances. 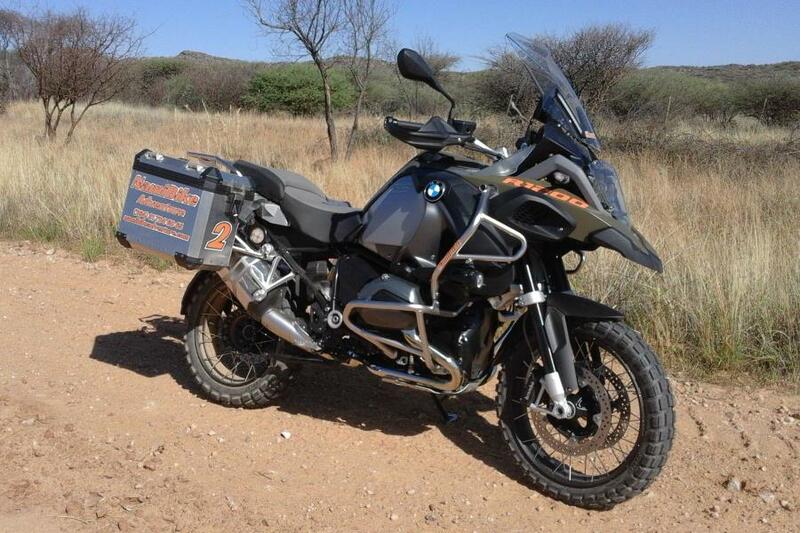 Please be advised that there is ONLY ONE BMW Motorrad dealer in Namibia, based in Windhoek; therefore resources are limited when it comes to back-up and assistance. NamiBike Adventure cc contact for emergency and back-up is: 081 704 60 65 - In case of mechanical failure caused by a motorcycle default (engine failure for example) and where there is NO negligence from renter, recovery costs are for NamiBike Adventure’s account and a replacement vehicle shall be provided within 24h00. The 24h00 period starts when “Renter” advise NamiBike Adventure representative of the problem. 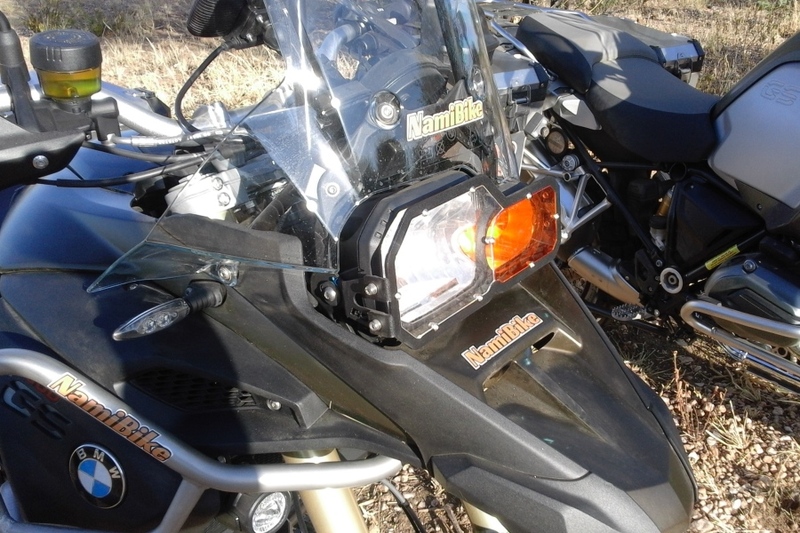 In the event of a mechanical failure, not caused by the renter’s negligence, should NamiBike Adventure cc not be able to replace the motorbike with the confirmed type or similar, a prorated refund will be refunded to the renter. This constitutes the maximum liability of NamiBike Adventure cc. 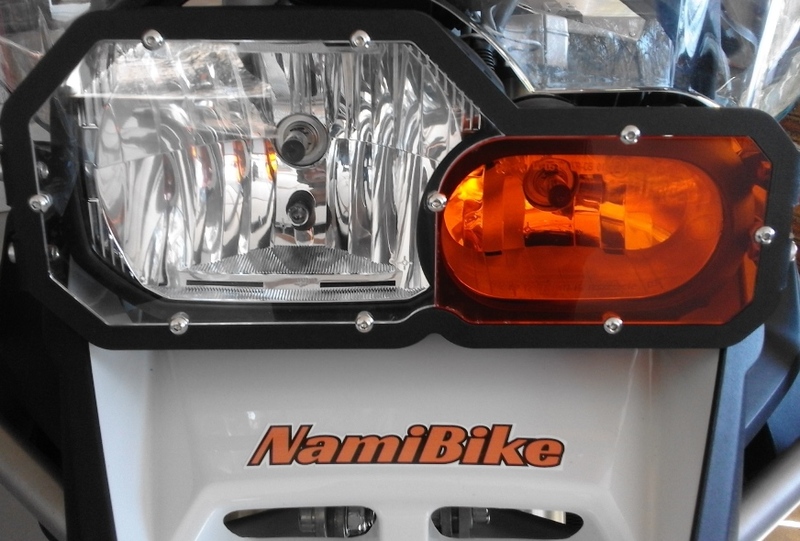 In case of mechanical failure caused by a motorcycle default (engine failure for example) and where there is NO negligence from renter, recovery costs are for NamiBike Adventure’s account and a replacement vehicle shall be provided within 24h00. The 24h00 period starts when “Renter” advise NamiBike Adventure representative of the problem. In the event of a mechanical failure, not caused by the renter’s negligence, should NamiBike Adventure cc not be able to replace the motorbike with the confirmed type or similar, a prorated refund will be refunded to the renter. This constitutes the maximum liability of NamiBike Adventure cc. If the rented motorcycle is involved in an accident (with or without other parties involved), no refund for early termination will apply. Should you require a new vehicle (subject to availability), a new rental contract and conditions will apply. Recovery cost for the damaged vehicle AND delivery cost for the new vehicle will be for Renter’s account. NamiBike Adventure cc has no obligation to provide a replacement vehicle in such a case. - A fall without other parties involved (Single Vehicle Accident) is considered as an accident. - You will be required to complete an Insurance Claim Form. All accidents, however small or big must be reported to the local police and a case must be open. The case number is required for the insurance claim. Failure to do so will result in your claim being void and repudiated. Renter shall report any accident or incident to NamiBike Aventure as soon as practicable. Nothing to worry about, they are friendly and helpful, despite their limited equipment. You will experience many permanent road blocks on our roads. Please stop at each road block and make sure the officer in charge instruct you to proceed before you do so. Corruption is NOT an option in Namibia, under no circumstances should any cash circulate between you and the police forces. Should you get a ticket, its only payable in town (never with the police officer in charge). There is one EMERGENCY NUMBER to call in case of road accident: 081 96 82 They will dispatch police, and ambulance to the scene. Travel Insurance with medical assistance covering motorcycle use is a MUST have before you start your tour. We will require the contact of your insurance and your policy number upon delivery of your bike. All our clients are covered for the duration of the rental (30 days maximum) by HelixTract Namibia (Medical Evacuation Service in case of accident with life threatening situation). Please visit HelixTract Namibia website for more information.